The Bose Videowave is a home entertainment system for the big show-off guys who don’t like to have messy wiring and setup of surround speakers or even to see these wires in open. 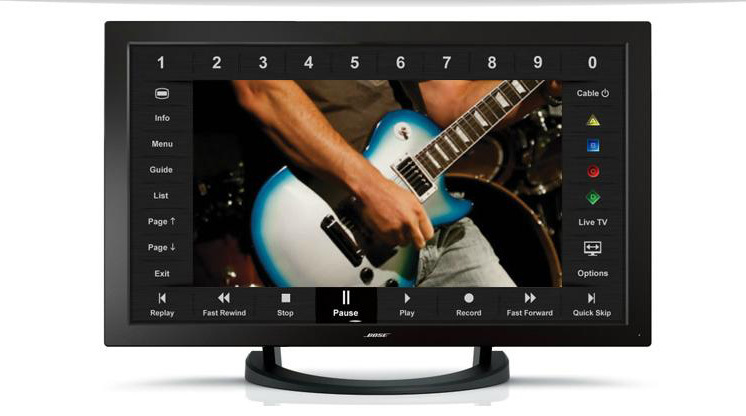 Bose the audio equipment specializer has brought this special and new home theatre product with a unique surround system integrated into a 46-inch LCD TV. 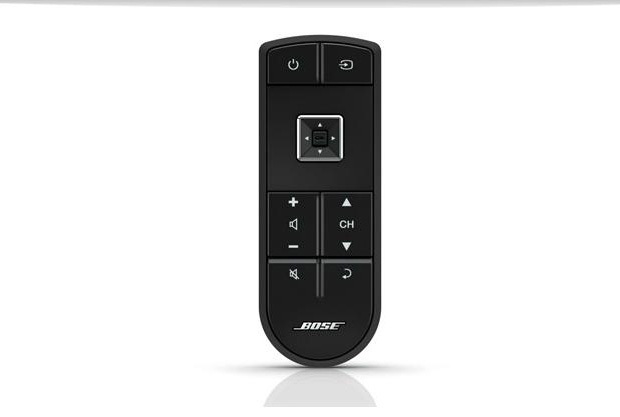 Also this product comes with a first-of-its kind click pad remote that’s easy to program and use. 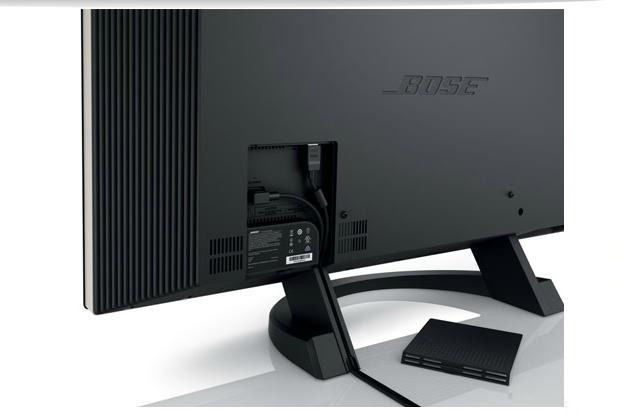 The Bose Videowave is a 46 inch big entertainment system with a 1080p HD display and has got just one wire attached to its back that goes down to its very Bose-like main console, where all connectivity ports are pooled. With 16 speakers, including 6 woofers in the magnesium enclosure, this Bose product goes a bit heavy making it weigh about 100 pounds. The surround sound in it is calibrated automatically via Bose’s own Adaptiq, and the PhaseGuide sound radiator technology in the system shoots high frequency audio waves to bounce off adjacent walls to recreate the effect of surround sound. 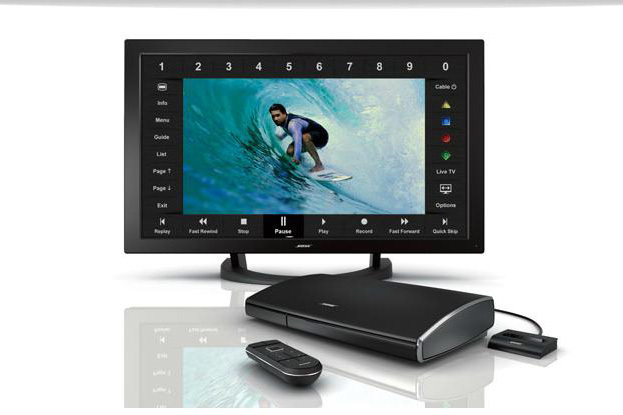 The Bose Videowave is equipped with award-winning waveguide technology which is built directly into the video display, delivering resounding low notes and dramatic sound effects giving an unmistakable impact with no extra speaker or subwoofer needed. The PhaseGuide and array technologies in the BoseVideowave give an acoustic detail and spaciousness well beyond the screen – in places where there are no speakers. No matter where you place the system the ADAPTiQ audio calibration system ensures the best sound possible for your room as it recognizes room size, shape, even furniture, and automatically adjusts the sound. 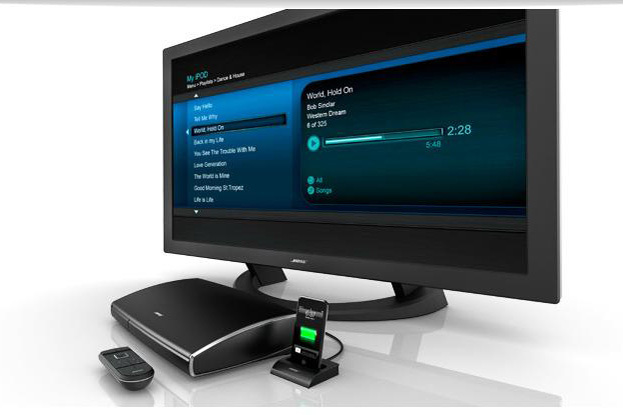 The Bose VideoWave system removes home theater complication by putting everything in one place. 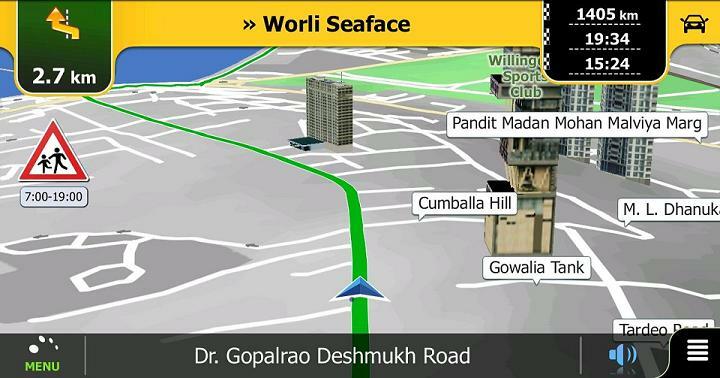 The innovative built-in sound technologies mean there are no speakers to painstakingly wire and position. Your sources—Blu-ray player, cable box, video game system—all connect to one console, which can be hidden away. No clutter, no confusion. The vibrant visuals of a 117cms 1080p HD screen with the excitement of Bose home theatre audio provides a seamless, elegant fusion, a single system that eliminates the need to wire or place speakers. Controlling a home entertainment system has never been this graceful—or simple. The buttons in the Bose Videowave are for those things you do most, like adjusting volume or changing channels.